We are here for you – whoever you are! Our main Sunday Worship is at 10.45am when all ages are very welcome. The Sacrament of Holy Communion is celebrated on the third Sunday each month and at major Festivals. Other activities include “Coffee and Chat” on Monday mornings from 10am onwards till about 11.30am at the Heritage Centre on Ferrett Green – all welcome to join in;“Music for the Mind” at 10.30am on fourth Monday of the month. Tuesdays 9.30 – 11.15am Toddlers, Parents and Carers group; (no group on 9th and 16th – school holiday. New term starts on 23rd April). Further information available from the Church secretary. We are delighted to announce that the Revd James Whately will be moving to Verwood early in August next year to be Minister of the Shared Ministry Pastorate of Parkstone, Verwood, and West Moors United Reformed Churches. We look forward to welcoming him and his wife to Verwood and trust that they will soon feel at home in our community. We are very grateful for the help and support we have received from three retired Ministers in our congregation in the years we have been without our own Minister, but are now thankful that James will be coming in the summer as full time Minister for the pastorate to encourage, guide and help our three congregations as we seek to serve our communities, ‘Walking the Way’ of Jesus. All who are looking for a way of life that values our world and all it’s people are invited to join us and share in the hope and peace that faith in a loving God can provide. Is there not an uncomfortable and topical clarity in this saying of Jesus? In any human community there will be divisions of opinion and wrestling these with respect for those with whom we differ can generate more light than heat, to the advantage of all. But when the divisions are against those with whom we share society, then they are dangerous and lead all too readily to destruction. A former Prime Minister once said, unwisely, that “We should understand a little less and condemn a little more.” He was wrong. No one should condemn before seeking to understand the background of the actions and attitudes that offend and hurt. Having so understood there may be good and justifiable reasons to condemn the actions and attitudes – other factors being taken into account. But in recent years there has been an increasing and dangerous polarisation in public life – brought into high relief by the Brexit situation in the UK and by Donald Trump’s actions in the USA. Alas, the same is true of so very many other countries, in all cases generating far more heat than light. Such communities divided against themselves are on the path to destruction. So what are you doing to help and heal? Ours was the first Church in Verwood, founded in 1802 when some fearless missionaries came from Ringwood hoping to tame and convert the wild heathen on the heath: the work goes on, joined over the years by other Churches with whom we have an excellent relationship in Churches Together in Verwood. Our present building dates from 1906 with major improvements in 2000. The previous building is next to us; after the new Church was built it became the local school and is now the Library. 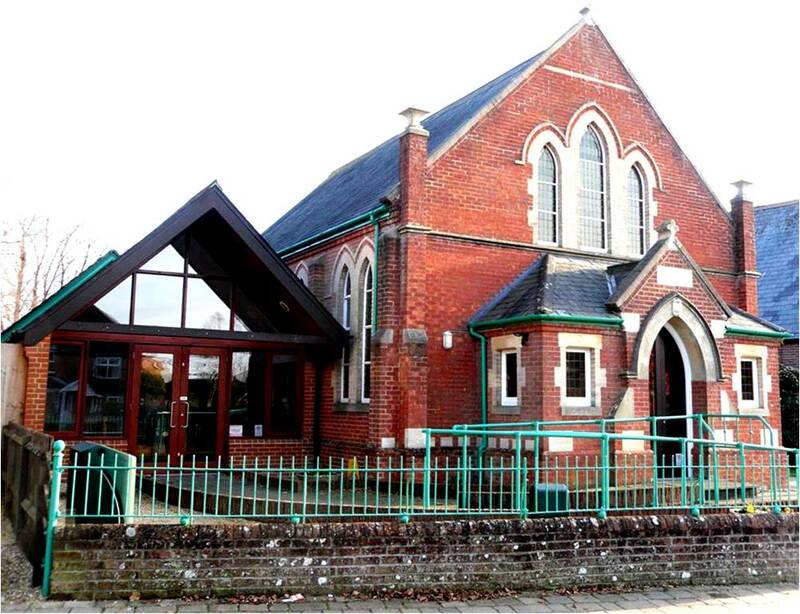 We were originally known as an Independent Church, later Congregational and since 1972 a United Reformed Church which also includes Presbyterian and Church of Christ traditions. The church is awaiting the arrival of the new Minister, but the Revd Julian Macro (01202 814270 and 07586 255311, email, julian.macro@mansfield.oxon.org is available to offer pastoral support. Our Church Secretary is Dorothy Macro (also 01202 814270) and our Church Treasurer is Chris Lyndon, (mobile no. 07789 834 520) Our email address is verwood@urc-eastdorset.org.uk . If you would like to receive our weekly emails please send us an email and we shall be happy to add you to the circulation list.